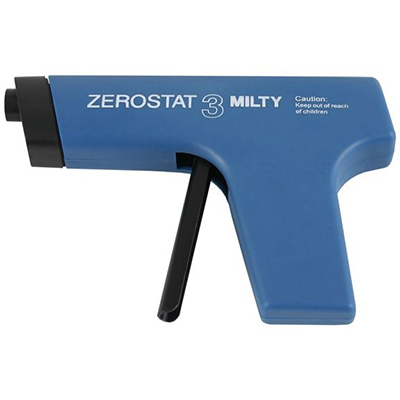 Use the Hunt Brush alone or, ideally, with a Zerostat gun. First, destat the record with the gun. Then use the Hunt EDA to brush the dust off. There is no finer dry record cleaning method! 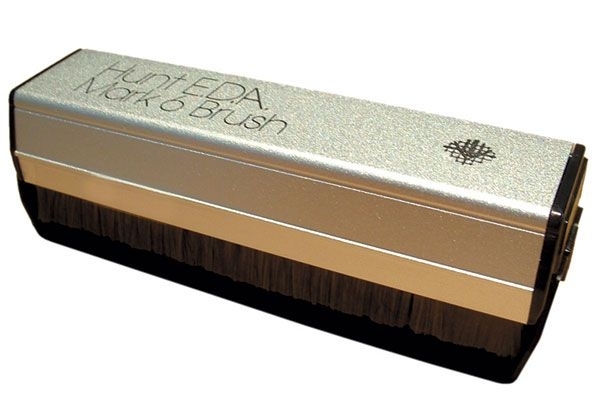 The Hunt EDA record cleaning brush contains over 1,000,000 anti-static carbon fibers. A fat pad can’t get down into the groove. It simply brushes over the top and removes the surface dust. The real culprit is the dust that’s trapped deep in the record groove. The only way to remove this dust is with the Hunt EDA. Don’t push it down on the record; simply support the back of the brush with your hand and let the brush’s weight do the work. You want to keep those bristles erect, not rolled over. The Hunt EDA comes with its own support stand, which also doubles as a cleaning tool. Slide the stand back and forth across the carbon fiber bristles to remove the dust. This will keep the carbon fibers clean and free from your messy hand oils.